It has been a while. I am finally back on my blog. As you have noticed I have changed my template, and hopefully I can get everything fix one step at a time. When I logged back in to my account, I felt so behind. I have missed blogging to be honest, I have been thinking about it for weeks, and now that I have my goals set, I am ready to rock and roll. Anyway, It was like months and months ago, I received a set of these amazing things and I just love 'em. (These item/s were sent for a product review). 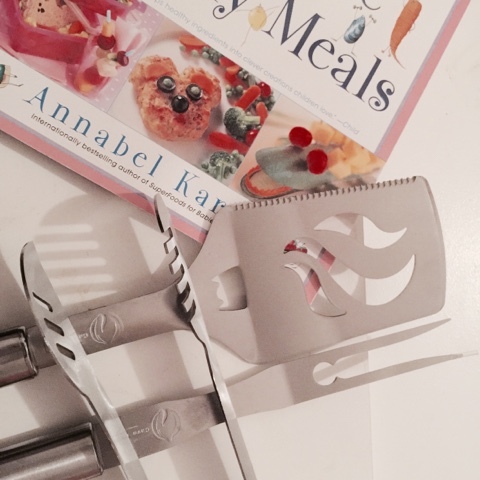 It comes with three pieces (stainless steel bbq tool set) which includes tongs, fork, and spatula. It's pretty durable compare to our old set that we got from Walmart, it looks very descent and it's worth every penny. It's a lot better than I expected. I was tickled and impressed when I opened the package. These tools are perfect for any big items of meats. You can use the spatula as a bottle opener, too. It's very functional. 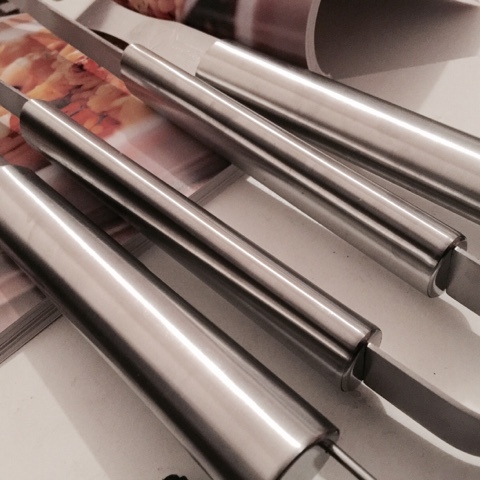 It's easy to clean, and very well designed, perfect for grilling outdoors. These kind of tools, are perfect for Father's day gifts or Christmas gifts. I am one lucky blogger. These tools are for keeps. I have bragged it to my husband who grills our meat most of the time. He thought it was just perfect. We would not have to worry about burning ourselves since it has a good handle. It is by far, the best grill tools we have owned. 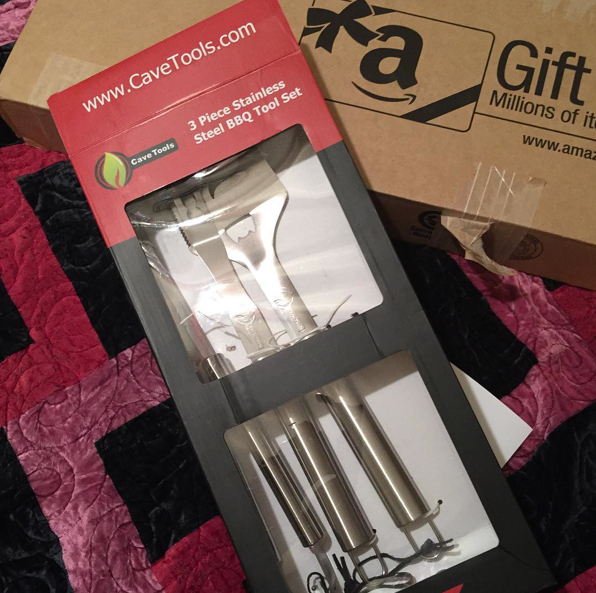 I highly recommend Cave Tools BBQ Tools Set. For Amazon, The grill set is 15% Off! and use the code; FWOBWJHP.